Are You Fishing Your Lipless Crankbaits Correctly? Lipless crankbaits are a great remedy for tough wintertime bass fishing. With these ultra-lifelike baitfish imitations accounting for a large percentage of winter’s biggest bass, the secret is out—they’re some legit, fish-catching lures. There are, however, a few caveats to be mindful of before tying one on in search of a coldwater giant. Alabama fishing guide Tim Chandler relies on the effectiveness of lipless crankbaits throughout much of the winter. Regardless of his clients’ skill levels or the conditions, he won’t leave the boat ramp without them. According to him, understanding a few key concepts will dramatically increase your success with these time-tested bass lures. It may sound like a tongue twister, but it’s actually an important concept to understand in regards to wintertime lipless crankbait fishing. Plainly stated, both the bass and their forage are downright cold right now. The bass aren’t likely to travel great distances to feed and their prey—in this case, baitfish—are simply fighting for their survival. To increase your catch, it’s important to make your presentation blend in with such widespread inactivity. In addition to emulating lethargic bait behavior, a lipless crankbait’s delicate swimming action also emits a faint flash of color with every movement. In a bass’ eyes, this color flash is indicative of an injured shad and an easy meal. It’s always important to cover water efficiently when developing a productive bass fishing pattern but efficiency plays a paramount role when finding winter bass. 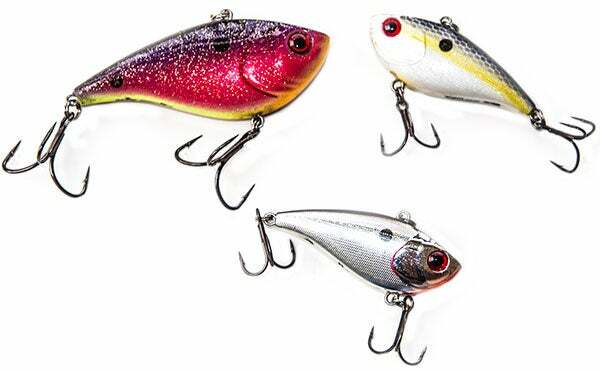 Lipless crankbaits give you the ability to fish quickly in hopes of finding a giant group of fish. An honest error in your lipless crankbait size selection can be the difference between a big goose egg and a day to remember. Chandler considers two primary factors when deciding which XCalibur Rattle Bait to use. Sizing 'em up: Chandler uses this simple system to match his lipless crankbait size with his target water depth. Chandler also carefully considers the depth at which he’ll be fishing. He’s developed a system that makes his selection process very easy. 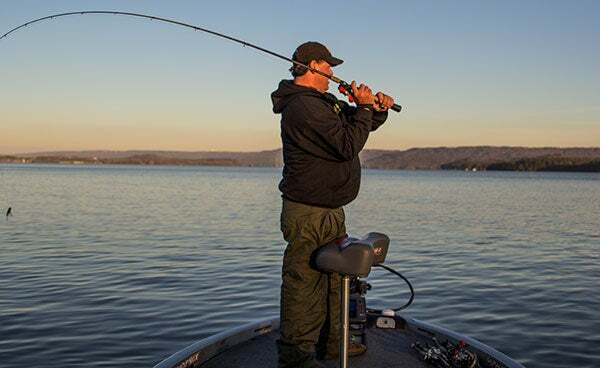 To catch more bass with a lipless crankbait, it’s imperative to target high-percentage areas. These four types of areas have consistently produced giant winter bass throughout Chandler’s career. The tight wiggle and color flash of a lipless crankbait is enough to catch a few bass on a standard, cast-and-reel retrieve, but it doesn’t unleash its full potential. The next time you hit the water with a lipless crankbait, Chandler suggests trying these retrieves. If you’re not careful, it’s easy to lose your lipless crankbait when fishing around cover. While standard crankbaits are designed with a bill to aid in cover deflection, a lipless crankbait is different. To achieve its trademark tight wiggle, you won’t find a bill. The result is a fish-catching machine that’s prone to hang-ups. Let 'em eat it: Because he uses braided line, Chandler likes a softer rod to facilitate a better load, giving the bass more time to eat his lure. He prefers a 7-foot, 3-inch medium-heavy Falcon Cara T7 Reaction Casting Rod. There’s good news, however. Chandler believes the absence of a bill can be counteracted by four simple tips. If you’re getting tired of braving the cold winter weather without good results, take a day to fish with a lipless crankbait. If you can learn where to throw it, how to work it and how to unleash its full potential, you’ll enjoy more and bigger bass this winter.